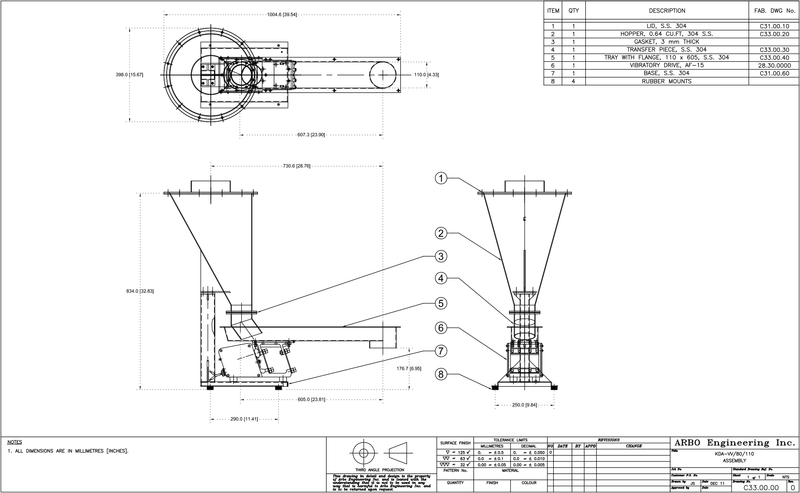 Our VV/80 feeder is widely used in food, plastic, chemical, and ceramic industries. 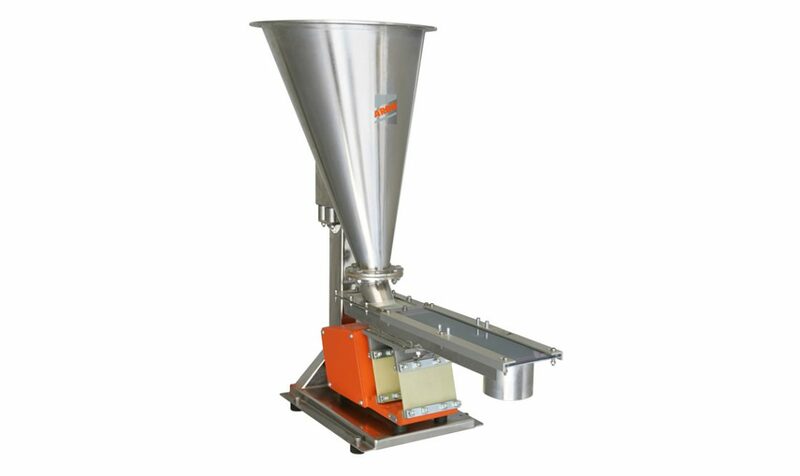 This small vibratory tray feeder is ideal for materials such as nuts, seeds, dried fruits as well as plastic pellets and additives, aluminum flakes, nickel powders and many others. 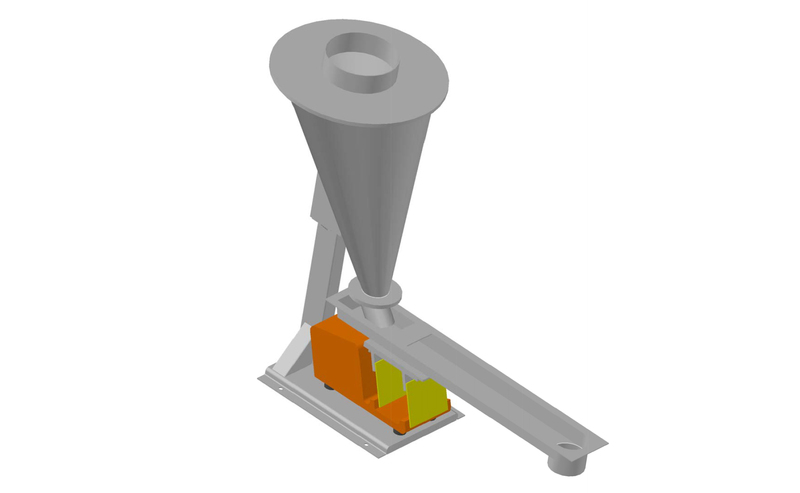 If the material is free flowing (non-sticky), this model can feed it from 0.5 to 750 lbs/hr. Feed rates can be influenced slightly by various transfer pieces as well as different tray shapes and sizes.